We stayed here in a three person private room in March for two nights. Everything was great! The staff was friendly and helpful. Our room was clean and spacious, and bathrooms were clean. Our downfall, is it is not super closet to main public transportation route, there is one tram stop a couple minute walk away. But only a ten minute walk to central train station, and to the Esplanade. So not a super big deal. All in all, I would happily stay here again when in Helsinki! The hostel is really nice and it is definitely worth this money. Someone may say that it is not so social.It's not true. I always had an option to had a nice chat with people in a living room or in a dorm. Staff is great. They were very kind and helpful all the time. Talking about cons, there is only one thing that was mentioned bye someone before: no curtains in shower room. So all the floor will be wet in the shower room. I didn't make a big problem, but it will be nice to have it. Excellent location, very friendly staff, 24h access, small kitchen, tranquil atmosphere for travelers who do not want to party. Great choice for a lean budget in the centre of Helsinki. The light in the bed was unfortunately broken but I suspect that was from a previous guest! Really nice place, lovely staff and great location. Location is amazing, very easy to get around, walking distance to major places. Room is clean and in reasonable size. Kitchen is the highlight, feels like cooking at home, sparkling clean! Atmosphere here can vary though, I guess most people stay here overnight only so maybe can’t be bother socialising with others. But I had pleasant stay here and enjoyed the city very much! Great location, secure, has breakfast (for few €). Lovely and helpful staff. Not the best hostel for solo traveller since the common room (kitchen) is small. Great hostel overall for calm and quiet stay. Diana hostel was in a fairly good location, and a short walk from Market Square. Meeting people here was easy too, because it was such a small hostel, everyone was very friendly and open. 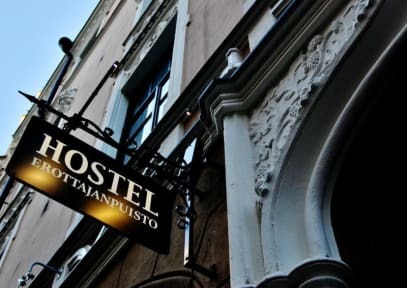 Not a party hostel, but I definitely would stay here again if I went back to Helsinki. Decent hostel. No common area except the kitchen which was closed after 11 pm. We stayed in a private room which had its own sink, which was nice but the pipes were loud enough to wake us up in the middle of the night when other people were using the plumbing. Bland atmosphere. This is a pretty average hostel, a little overpriced. There didn't seem to be any real community - no one engaged with me beyond a polite "hello", if that. The reception also seemed very sleepy and did not do a good job explaining the hostel's services.